Market gardening quality. 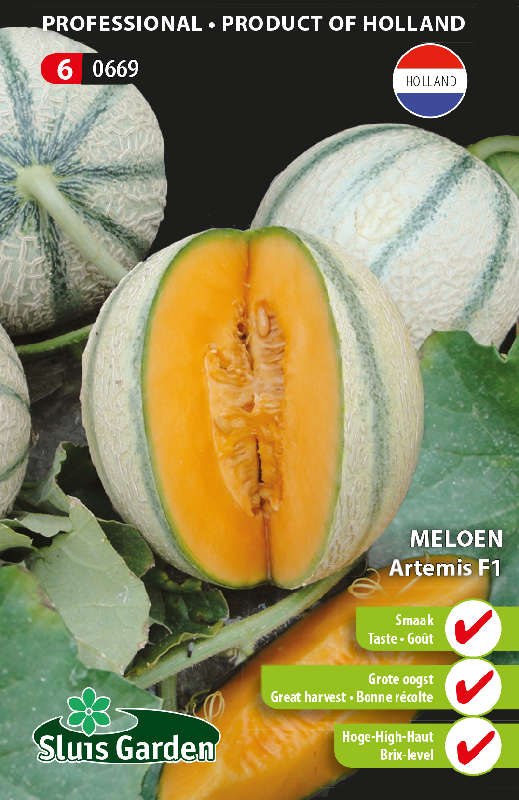 Artemis is a professional Charentais melon and has very good resistance to diseases. Artemis produces healthy strong plants with an abundance of leaves. These leaves provide more shade for the fruits, enabling them to ripen better. The fruits have a very high “Brix level ”, i.e. sweet fruits and longer shelf life. Fruits weigh approx. 1.1 kg. 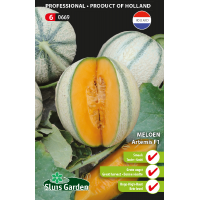 Best to cultivate in a greenhouse, and help with pollination if required.